For applications using sheets that are not thick enough to accommodate tapping, use of weld nuts as an industrial fastener can be a viable solution. JHP Fasteners can offer you a wide selection of weld nuts in a full range of thread sizes (inch and metric). 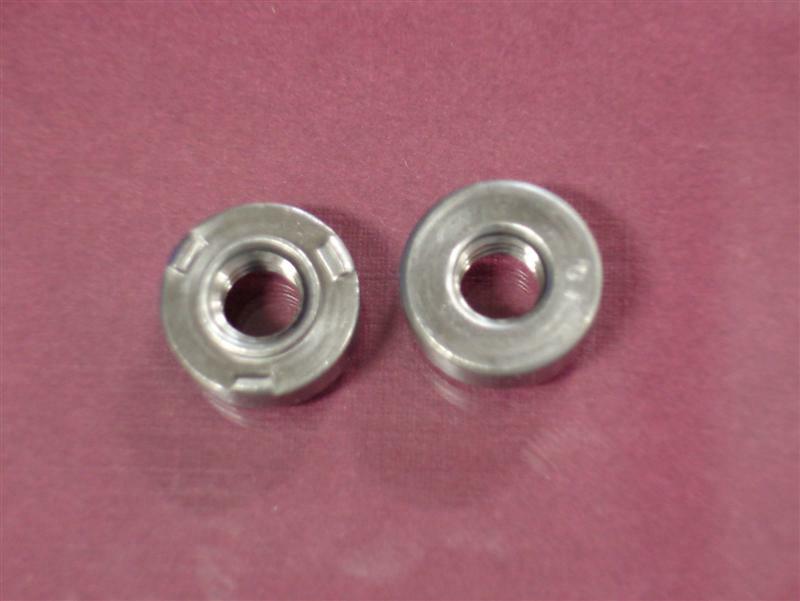 We also offer weld nuts in your choice of carbon steel and 303 stainless steel. Carbon steel or 303 series stainless steel. The carbon steel weld nut has a light oil coating (with an optional copper flash). The 303 series stainless steel weld nut is finished per passivated ASTM A380. Class 2B, MIL-S-7742; (6H ISP Metric). Available thread sizes: Inches: Available in #4-40 through #420. M3 x 0.5 through M6 x 1.0. Weld nuts provide strong load-bearing threads in sheet metal that is too thin to tap. They incorporate three point projections to facilitate quick and easy welding. The weld nut’s alignment collar orients the nut and works as a barrier to prevent weld-splatter from entering the thread area. These weld nuts will self-align onto any standard hole size and are dimensionally identical to applicable industry standards. Choice of the type of industrial fastener to incorporate into your design will be a significant milestone in your design process. The mechanical integrity of your finished product will be largely dependent upon selection of a fastener that is best suited for that product. JHP Fasteners will collaborate with you to ensure that there is no guesswork in the selection process. Our industry expertise: We are not newcomers to the industrial fastener market segment. We have over 30 years of working experience. Our pricing: Our pricing is always competitive. Our customer service: We take great pride in providing our customers with courteous and professional service. When you ask a question, you will get a prompt response. Contact us today for professional consultation or to place your order!